Discussion Lookin' For a Pedal (But I Havn't Found it Yet). Lookin' For a Pedal (But I Havn't Found it Yet). She'll be nothin' like I pictured her to be." What I have: Squire Strat with dual Hummbuckers, small vintage cheapo Montgomery Wards Airline tube amp. That combination is nice and good at lower volumes for my fractured hearing but what I've long wanted but never fully pursued (i.e., coughed up the busk for) is a pedal to go between that will offer some added warmth but also with a little bit of gnarl to it as well. I'm thinking sort of warm distortion. My ears can't handle scream or hard or brittle or harsh or overly heavy tones, just something warm with a bit of crunchy purr if you will. You could probably get close with a cheap, Boss DS-1. Just keep the gain halfway or lower. Also, Fulltone O.C.D. is a very flexible pedal that goes from subtle overdrive to nasty distortion and everywhere in between. Can be found used for under $100.00. If I could only have one dirt pedal, the OCD would be it for its excellent build and ability to cover so much sonic territory. PS. I love the tone in that clip! J is a total badass! Thanks, dudeman! I'll check out the Fulltone O.C.D. -- sounds promising. And, yeah, J's the man! J has a couple of Rig Rundowns on Youtube. 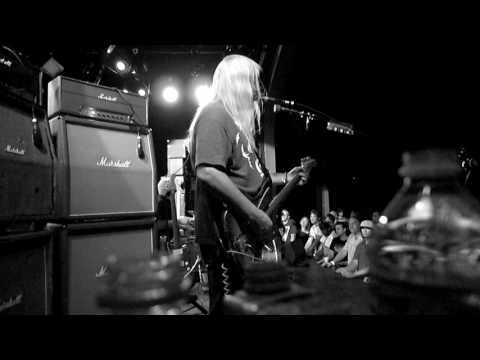 Worth watching even if not looking for pedals. Just last night I watched another J rig rundown that was good. This one is great- it gives a little more info than the one I saw last night. Very cool! Thanks for posting it. Loved every minute of it! So the Big Muff and the Real Tube Overdrive are very cool but I wonder how they sound at lower volume? if you are looking for something to add some warmth and not get too nasty, i would stay in the overdrive category rather than distortion or fuzz category. 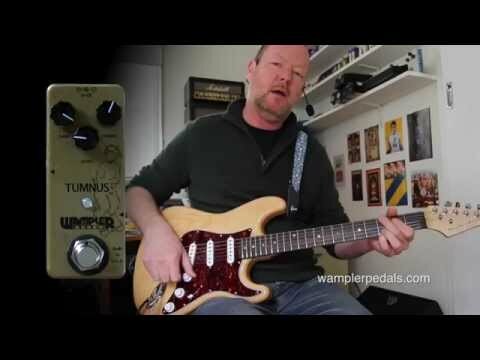 i got a wampler tumnus a few months ago that i really love. the tumnus is basically a clone of the klon centaur, which goes for around 3 grand these days. the klon is called the "mythical overdrive" because it does something with the mids that does just enough to boost the good frequencies you want while de-emphasizing the harsh tones and helps keep it from getting muddy. the klon was made for a while in the 90s and all those seattle guys used one at some point or another. the tumnus is a pretty accurate clone of that circuit. i play a driven amp and use the tumnus to color my sound and give it just a bit of a boost. i find that to my ears, it sounds better with a strat. when i play my strat is is basically an "always on" pedal. i set it for some drive, leave it on, and to get a cleaner tone i just roll down my guitar volume a tad. i got a used one for $100. there are other overdrives out there. ocd is a very good one. tubescreamer is a classic, but everyone has one of those. best way to know what you want is to just go and demo some overdrive pedals. i spend a lot of time watching videos of pedal demos. there are thousands of pedals out there. the videos help me to weed out what i don't want to try, haha. I have ALWAYS said that the BD2 Blue Driver (BOSS) is one of the most versatile OD/Distortion pedals out there. I've been doing the same. So many choices! Makes my head spin! I think what you said about overdrive rather than distortion is good advice. That narrow the field down from 20,000 to 10,000, haha! To second some of the other comments I use a wampler tumnus stacked with an OCD and get a great range of tones that way. Stacked they sound really close to Stones live sound. The tumnus really adds some nice bottom end too which is great for single coils!